Kiwi Paint Solutions Instant Detailer. This ready to use formula is made with a polymer blend, body shop safe, & adds a wet look. 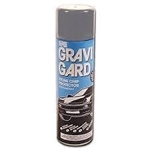 This exclusive "Wet Look" formula will safely remove dust, fingerprints, and water spots on all automotive surfaces without streaking. Kiwi Detail is an advanced polymer formula and contains no wax or free silicone. Body Shop safe even on fresh paint. Designed for use on replacement panels or new car rustproofing, the Transtar Amber Rustproofing, No. 4423, provides superior rust protection. Its abrasion-resistant coating flows into hard-to-reach seams, and restores the repair of existing corrosion protection to original specifications. Remains tacky and flexible once applied. Tex Coat is a rapid drying, flexible protective coating. Texture can be varied to match OEM textures as found on rocker panels, valances, etc. Paintable in 30-45 minutes. Highly chip resistant. Convenient aerosol requires no equipment clean-up. 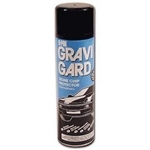 GRAVI-GUARD IS A FAST AND EFFECTIVE TEXTURE COAT FOR STONE CHIP, SALT, DAMP, AND RUST PROTECTION Tex Coat is a rapid drying, flexible protective coating. Texture can be varied to match OEM textures as found on rocker panels, valances, etc. Paintable in 30-45 minutes. Highly chip resistant. Convenient aerosol requires no equipment clean-up. Levels orange peel, dust nibs or paint runs in all types of paints and is appropriate for light sanding on refinish lacquer. 3M's fastest cutting, longest lasting abrasive for saving labor costs and improving quality. Levels orange peel, dust nibs or paint runs in all types of paints and is appropriate for light sanding on refinish lacquer. 3M's fastest cutting, longest lasting abrasive for saving labor costs and improving quality. Levels orange peel, dust nibs or paint runs in all types of paints and is appropriate for light sanding on refinish lacquer. 3M's fastest cutting, longest lasting abrasive for saving labor costs and improving quality. Levels orange peel, dust nibs or paint runs in all types of paints and is appropriate for light sanding on refinish lacquer. 3M's fastest cutting, longest lasting abrasive for saving labor costs and improving quality. Levels orange peel, dust nibs or paint runs in all types of paints and is appropriate for light sanding on refinish lacquer. 3M's fastest cutting, longest lasting abrasive for saving labor costs and improving quality.